Nokia’s long-rumored smartwatc dubbed the Moonraker has not been seen by the public, as Microsoft shelved the project shortly after purchasing Nokia’s hardware division back in 2013. While we still may never have hands on time with the watch, we at least know what it looks like thanks for a tumblr post from a Microsoft employee. Microsoft decided to put the project on hold as it was already launching the Band, its own fitness tracker/smartwatch hybrid. If Microsoft ever decides to bring the watch to market, it was nearing completion when the purchase happened. 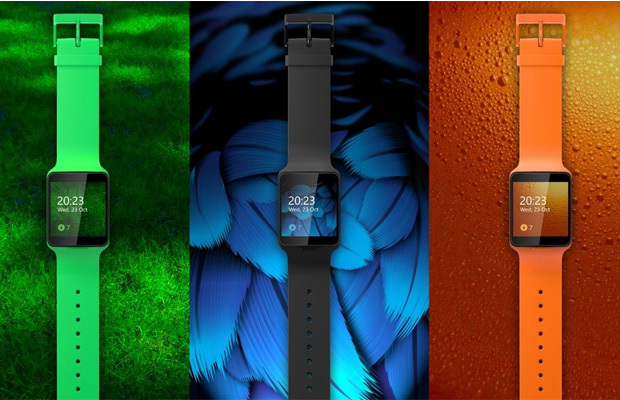 The smartwatch is a smooth looking, square framed smartwatch with colorful bands. Many of the popular features make it on to Moonraker; fitness tracking, notifications, watch faces, but it was the native Facebook and MixRadio support (MS’s online radio service).